Do you know which experts to call in every possible emergency? You might, but chances are you don’t have their phone numbers memorized or stored in your contacts. In the U.S. there is 911 emergency dispatch, but for some problems it might be better to go straight to the emergency line of a specific organization. That is why back in November Google added emergency phone numbers to the top of certain search results, and now they’ve made those numbers only 1-tap to call on mobile browsers. It makes sense since the majority of mobile browsers are guaranteed to be phones, why not make it that much easier to get the help people need? 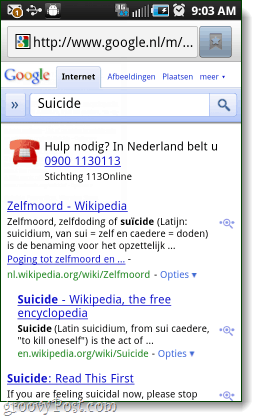 This feature works globally, it uses your country-specific Google domain to determine which numbers are the best to call. It will also automatically translate your specific emergency search, and give you results in the local language and number. 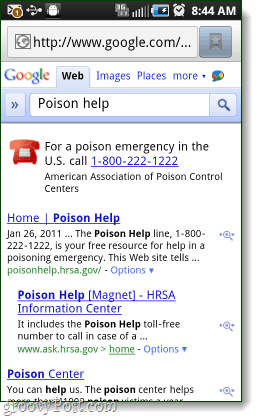 Now if you have an emergency, you can quickly Google the appropriate help and be on the phone with an expert in a matter of seconds. The only problem I see coming up with this service is there are people using Google domains from a foreign country for language purposes. If you are using a foreign country’s Google, your emergency number results won’t your local numbers that you should be calling.